Quality real estate lists target homeowners, home buyers & even commercial properties. Reaching out to an accurate, targeted audience of real estate leads – existing homeowners, future home buyers, renters, and even commercial real estate prospects – is easier than ever when using select matched real estate lists from ProMarketing Leads. Because real estate is typically the largest area of spending and investing most American will participate in, targeted real estate leads and new homeowners lists are naturally a great way to find leads and create product and service conversions across so many different industries and business market segments. What makes targeted real estate leads so effective? There’s a huge range of products and services that perfectly connect with the needs of homeowners, apartment dwellers and real estate investors. 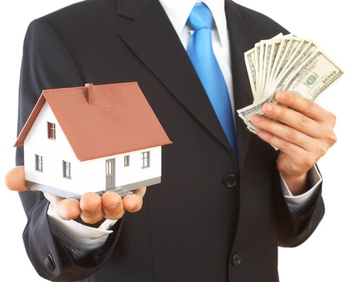 Whether it’s real estate sales related services, contracting, banking services, home product sales, or any of hundreds of additional industries that revolve around real estate, one thing is certain – a huge portion of the dollars spent nationwide every year can be reached with effective commercial property lists and/or residential real estate lists. You just need to make sure that the lists that you’re working from are populated with the sorts of hyper-targeted leads that are more likely to be in the market for what your business sells. What Types 0f Lists of Real Estate Leads Do We Provide? Residential & commercial real estate lists from ProMarketing Leads are ready to help you take your marketing campaign – whether it’s direct mailing, telemarketing, or even a realtor email list – to the next level. We’re a full service specialists in providing targeted real estate leads that will increase your marketing conversion rate / ROI. We’re ready to help you acquire the best real estate lists available today. Call (866) 397-2772 to Learn more about our company or contact a friendly service rep today for more information!